The government is ready is accommodate any amendment to the Office on Missing Persons (OMP) Act which had been missed at its Committee Stage, Prime Minister Ranil Wickremesinghe said in Parliament yesterday. The Prime Minister made this observation when Chief Opposition Whip and JVP Leader Anura Kumara Dissanayake queried the government’s stance on the amendment proposed by the JVP which had been missed. MP Dissanayake pointed out one out of the three Amendments proposed by the JVP had not been accommodated as it was not read out at the Committee Stage. “MP Bimal Rathnayake who was present in the Chamber to present our party’s Amendments had not been given chance by the Speaker at that time. It may be due to the chaotic situation prevailed. The Hansard report of that day shows the confusion prevailed at that time,” he said. 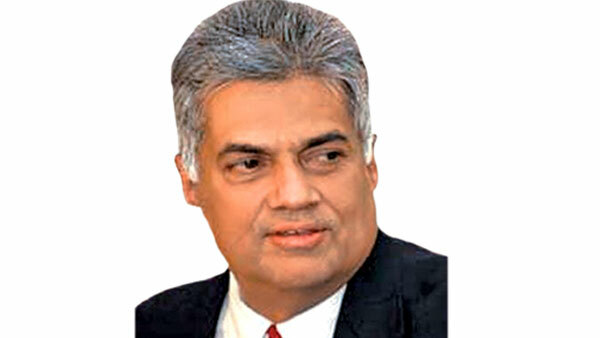 The Prime Minister said the matter would be discussed with Foreign Minister Mangala Samaraweera. “We will look into all the options available to include this Amendment. If there was no other way, we will bring in an Amendment Bill to the OMP Act,” he said. Leader of the House and Minister Lakshman Kiriella asked the JVP to submit the Amendment they want in writing.